Asphalt has been used for years because it is so practical and efficient; however, many find it rather unattractive. All of that has changed now that pavement stamping has come upon the scene. The installation is fast and your driveway or project area will experience very little downtime, which means there is less disruption to your busy life. You can choose from many patterns and colors to create your own custom look with an Alameda County asphalt, stamping and paving company. Asphalt also handles climate changes well making it quite durable. It is structurally sound which prevents it from shifting with weather changes. Freezing and thawing cycles don’t affect asphalt which may affect other surfaces. Because asphalt doesn’t have seems, you are less likely to have issues with weeds growing through it. Another bonus of asphalt is that it doesn’t react to salt. Whether salt is used for deicing or you have salt from living in a coastal region, asphalt is not affected. An asphalt stamping and paving company will offer you a complete line of decorative products for paving. The potential for designs is equal to stone and brick which are more expensive. 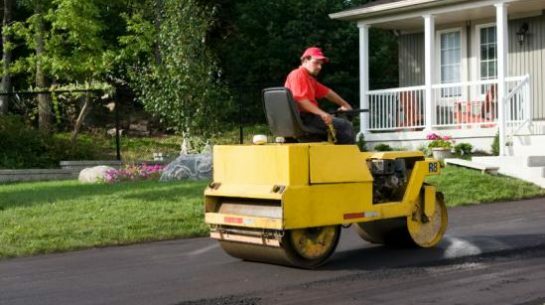 Your contractor will install your asphalt stamping and paving so that it is durable and safe. The final product will make a visual statement that makes a positive and memorable impression. You will love your asphalt stamping and paving. It is easily repaired and has invisible seamed. The colors are stable and will last for years. There is an unlimited choice of patterns and logos. And you will especially appreciate the low maintenance requirements and costs. How do you find the asphalt stamping and paving company that is right for you? You need research and good information so that you are confident in your choice of an asphalt stamping and paving company in Alameda County in the cities of Oakland, Fremont, Hayward, Berkeley and San Leandro. Not all Alameda County asphalt stamping and paving companies are alike. They have different skills, varied degrees of experience and philosophies. It is your right to choose a qualified and honest asphalt stamping and paving contractor in Alameda County. They will install your asphalt stamping and paving correctly the first time. All Diamond Certified companies have already been thoroughly researched for you, including license verification. However, if you’re unable to choose a Diamond Certified asphalt stamping and paving company in your area of Alameda County, you’ll have to do the research yourself. Once you have decided to install asphalt stamping and paving for your project, you will be in a hurry to get started. But it is in your best interest to take your time and research local asphalt stamping and paving companies to find that one that will work best for you. While it’s best to simply choose a Diamond Certified asphalt stamping and paving company because of their Highest in Quality rating, it may not always be possible. If you’re unable to choose a Diamond Certified contractor in your area of Alameda County, you can improve your chances of hiring a good asphalt stamping and paving company by checking out other contractors on the Contractors State License Board website to ensure they have active license and workers’ compensation insurance. Violations and license revocations will appear on their license record, so you’ll know about serious customer grievances and complaints that have been filed with the state. You will also need to verify additional company credentials. Asphalt and stamping paving contractors who are members of local organizations and associations may offer better service, and you’ll be able to see their past records, including any complaints and legal action. Why Trust Diamond Certified Asphalt and Stamping Paving Companies Rated Highest in Quality? A paving contractor smooths an asphalt driveway. After you have done initial research, talk with some local asphalt stamping and paving companies. Compile a list of questions and use that list when talking to asphalt stamping and paving contractors. Write down each paving contractor’s answers. Only get estimates from those paving companies that meet or exceed your expectations. If an Alameda County paving contractor doesn’t give satisfactory answers to your questions, move on to the next company on your list. You will want to know what you want from your own asphalt stamping and paving project before interviewing local paving contractors. Have an idea of your timeline, color, stamping, and budget, etc. Do I want a Diamond Certified paving company that is rated best in quality and backed by the Diamond Certified Guarantee? What is my timeline for my new asphalt and paving installation? Are there any changes or repairs I need to have done to the house before I have being asphalt stamping and paving? Am I planning on living in this house over the long-term or am I going to use it as rental property? What personal and professional characteristics would I like my Alameda County asphalt stamping and paving company to have such as good communication skills, timeliness, honesty, integrity, and reliability? What color and style am I looking for and looks appropriate with the landscape and house? Once you have narrowed the field to a few of the best Alameda County asphalt stamping and paving contractors for your needs, visit a few of these in person to meet their representative. Are the products that you use environmentally safe for my children, pets and yard? Can you provide me with 10 references? What kind of a guarantee do you offer on your paving services? Will you provide a written contract for the paving work and asphalt pouring? Do you hire any subcontractors to help with the paving or carry out any part of the asphalt work? Do you have a valid contractor’s license? Do you charge for paving estimates? Do you have liability and workers’ compensation insurance? It’s best to choose a Diamond Certified asphalt stamping and paving company because all certified companies have passed an in-depthratings processthat most other companies can’t pass. If you want quality from an asphalt stamping and paving contractor in Alameda County and the greater Bay Area, you can have confidence choosing a Diamond Certified company. If you can’t find a Diamond Certified asphalt stamping and paving contractor within reach, you’ll have to do some research on your own. If you do, it’s wise to call some references provided by your asphalt stamping and paving contractor. Keep in mind, though, that references provided to you by the asphalt stamping and paving contractor are not equal in value to the large random sample of customers surveyed during the Diamond Certified ratings process. Would you recommend this asphalt stamping and paving contractor to your friends and family? When you need this work done in the future, will you choose this same company? Did they clean up after they completed the job? Did they keep communication with you up to date on the status of your project? If you live in a smaller town such as Russell City, San Lorenzo and Sunol, did you have to pay extra for their travel expenses to your home? Were you satisfied with the service from this asphalt stamping and paving contractor? What type of asphalt stamping and paving were used? Did they finish the work on time? Did they show up for work on time? Your choice of an asphalt stamping and paving contractor in Alameda County is an important decision. It can greatly impact the quality and longevity of your asphalt and stamped pavement. So before deciding on the asphalt stamping and paving company in Alameda County for you, it’s important to consider the following questions. Is this paving work estimate with in my budget? Can the asphalt stamping and paving contractor in Alameda County meet your needs when it comes to scheduling, customer service and experience? Do the Alameda County asphalt stamping and paving contractor offer a written warranty to back up their work? Is the company knowledgeable about the techniques they will be using and the specific needs of my job? Asphalt and stamping paving is an investment. Plan your budget and stick to it. 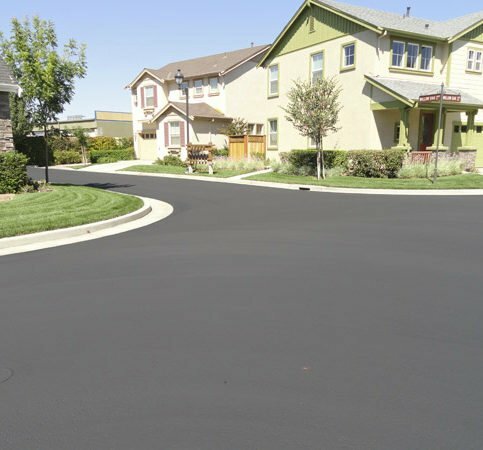 After you have found an Alameda County asphalt stamping and paving company in Alameda County that you can trust, you will have peace of mind as you being your asphalt stamping and paving project. First, meet with the paving contractor. Use the notes that you have taken so you can accurately describe any concerns that you have. Be as detailed as possible and don’t be in a rush. It is as important for you to hear their suggestions and observations as it is for them to hear you. If you don’t understand something, ask for an explanation. You need to completely comprehend the plan and any problems or solutions. Be sure to get all estimates in writing before any work begins. The estimate should include an itemized list of the cost of supplies and the labor. Don’t ever sign a blank estimate. When you feel satisfied with the information you have received from your Alameda County asphalt stamping and paving contractor, sign the contract. Be sure that they have a phone number where you can be reached at all times. Expect the contractor to stay within the estimate. However, if the actual asphalt stamping and paving costs exceed the original amount of the estimate, the contractor must get your approval before moving ahead. Professional asphalt stamping and paving contractors are able to handle the very small to very large aspects of their work. However, there are some things that you can do to prepare for them and to make their progress in putting in your asphalt stamping and paving go more smoothly and more quickly. Doing these things may even cut down on their labor costs and can keep your home and belongings from being damaged. Remove any furniture or movable items from the area where the asphalt stamping and paving contractor will be working. Before they begin work, remove anything that may be in the way such as barbecues. The more you do the more quickly they can get to work. Keep your pets and children away from the area. Your asphalt stamping and paving contractor will be focused on installing your asphalt and stamping and should not have to watch out for your pets or children at any time. This not only prevents accidents and injury but also any expense that comes from accidents that may happen because of children and pets being in the way. Provide parking space and room for their work vehicles to maneuver. Some asphalt stamping and paving contractors have large vehicles that require more space than average. Contact your contractor before they begin and ask them how many parking spaces they need and how much room they need for oversized vehicles. It is also helpful to walk through the area with your contractor so any hazards or clearance issues can be pointed out before installation of your asphalt and stamping. Trim plants and bushes that are in the way. You can save money and time by preparing the area for building by trimming or removing any plants, trees or bushes that are in the way. Ask your contractor what they recommend and the amount of space they require. How Can You Be a Good Asphalt Stamping and Paving Customer? It’s the asphalt stamping and paving contractor’s responsibility to put in quality asphalt stamping and paving using the best possible installation techniques. But you play a big part in the success of your asphalt stamping and paving, too. Here are a few simple steps you can take to be a good customer when hiring an Alameda County asphalt stamping and paving contractor. Be clear and upfront with the asphalt contractor. Let them know what you want from your asphalt stamping and paving, the long-term outcome you’re expecting and specific ways they can satisfy your expectations. Before you hire an asphalt and paving contractor in Alameda County, restate your expectations and goals, and reiterate to the asphalt stamping and paving representative your understanding of the agreement. Most problems with local asphalt stamping and paving occur because of a breakdown in communication. By being clear about your expectations and theirs, you can avoid most conflicts. Ask your asphalt stamping and paving contractor if you should call to check on the progress or if he will call you with updates. Be sure your service representative has a phone number where they can reach you at all times while they’re installing your asphalt stamping and paving. The work will move along more smoothly if your asphalt stamping and paving contractor can reach you for any necessary updates, questions or work authorizations. When your contractor contacts you, return calls promptly to keep the asphalt stamping and paving on schedule. Pay for the asphalt stamping and paving work promptly. Why would you want to be a good customer? Asphalt and stamping paving contractors in Alameda County appreciate customers who are straightforward, honest and easy to work with. Your good customer behavior sets the tone from your end and creates an environment conducive to a good relationship. Things may very well go smoother and any problems may be more easily resolved. When your asphalt stamping and paving installation is complete, most contractors will give you a written invoice that details the completed work. The Alameda County paving contractor’s name, physical address and license number. Any applicable warrantees or guarantees provided by asphalt manufacturers or the company. An itemized list of all the asphalt paving supplies purchased. A list of all paving and asphalt stamping services performed. It is wise to compare the completed work with the written invoice. Ask your contractor to walk through the asphalt stamping and paving project with you and show you the work. During the walk-through, ask if there are any special instructions for maintaining your asphalt stamping and paving. If you have any questions or concerns about the work or materials, now is the time to ask. Most good asphalt stamping and paving contractors offer some type of warranty on the asphalt stamping and paving. Ask that the details of the warranty be provided to you in writing. The asphalt paving contractor’s name, license number and physical business address. What products and parts of the asphalt stamping and paving installation are covered. This should also include whether the contractor will replace or repair your asphalt stamping and paving in the event of a product failure. Paving contractors offer and specialize in various paving services, including asphalt pouring and asphalt stamping. The top requests for asphalt and paving services in Alameda County are listed below. Reclaimed pavement is made from recycle asphalt pavement. It is as high in quality, if not higher, as unrecycled pavement. It doesn’t lose its value and can be recycled over again. Permeable paving is the process of paving using porous materials or techniques that allows water and air to move around the paving material. Pavement overlays are used to extend the life of asphalt. An overlay may not only strengthen the existing asphalt but it can salvage a deteriorated one. Patch paving extends the life of pavement when only small areas need to be repaired. Decorative patio paving is a great way to complement your home with the look of brick or cobblestones but at a more inexpensive cost. You can have a dramatic look for your patio at a great cost. Pavement maintenance is the process of repairing, sealing, and rejuvenating your asphalt on a regular basis. Seal coating may be the most important maintenance you do for your asphalt. It is a coal and tar mixture that is applied on top of the asphalt. It protects your asphalt from weather and chemicals. Pavement repair is to repair cracks or other problems with asphalt. Repaving is the work of replacing the base and the asphalt. The old asphalt is taken out and paved with new asphalt. Pavement overlays will lengthen the life of your pavement. This is often the way to achieve longer lasting repair. Aggregates are various sizes of stones and crushed rock, etc., that make up a high percentage of an asphalt mixture. Asphalt is a black or brown cement-type material that is obtained through the processing of petroleum. It is used for paving and roofing, etc. Asphalt base is a mix where the largest stone is not larger than 3/4 inch. Asphalt driveway designs isthe design prepared to be stamped into an asphalt driveway. Asphalt leveling course is when hot asphalt is used to get rid of irregularities in the contour of an existing surface. Asphalt repairs are the repairs made to asphalt as it is worn down by use or weather. Coal tar is a by-product from steel production and is used as a base for asphalt pavement sealers. Compaction is the process of compressing material into a lesser volume. Crusher-run is the unscreened product after the stone is crushed. Density refers to the weight of a material such as asphalt. Emulsion is the combination of ingredients that are mixed mechanically that don’t mix normally. Finished grade is the final grade of the asphalt job. Full-depth asphalt pavement is used to certify that pavement has asphalt mixtures used for all of its courses above the subgrade. Geotextiles are the materials used in the pavingi process that are fabric-like and often used to stabilize the base material or be a moisture barrier. Grade-slope is the angle of a paved surface that aids in drainage of water. Joints are the visible area where two different pourings of asphalt meet. Lane joint cracks are separations between two paving lanes that run longitudinally. Lift is paving material that is applied to the base or previous layer. Reflection cracks are cracks in asphalt that is over pavement and shows the crack pattern of the pavement. Seal coating is the application of a sealant to protect the asphalt. Stamped blacktop is pavement or blacktop that has been stamped with a decorative stamp. Stone base is the base of the pavement which usually consists of crushed stones. Subbase is below the base course of asphalt pavement. Subgrade is the prepared soil that is compacted to support a slab or pavement. Q: Why choose a Diamond Certified asphalt and paving stamping company? A: Diamond Certified helps you choose asphalt and paving stamping companines with confidence by offering a list of top-rated local companies who have passed the country’s most in-depth rating process. Only asphalt and paving stamping companies rated Highest in Quality earn the prestigious Diamond Certified award. Most companies can’t pass the ratings. American Ratings Corporation also monitors every Diamond Certified company with ongoing research and ratings. And your purchase is backed by the Diamond Certified Performance Guarantee. So you’ll feel confident choosing a Diamond Certified asphalt and stamping paving company. Q: What maintenance is required to prolong the life of my asphalt and stamping paving job? A: It is recommended that you annually fill any cracks. Sealer will need to be applied at least every two years. Regular maintenance will keep your asphalt from deteriorating and slow the formation of any cracks. Regular maintenance will also maintain the appearance of your property. Corrective maintenance is required less often but is necessary when there is excessive cracking or other problems. Q: Are the estimates for asphalt and paving stamping free? A: Many asphalt and paving companies will provide you with a detailed estimate at no charge. Others may offer to apply estimate fees to the final job if you hire them. While still others charge a fee for asphalt pouring services. Talk to the asphalt company representative about their estimate policy. Q: How do I clean my asphalt and paving? A: It needs to be flushed with water to remove sand and dirt or other abrasive materials. Abrasive materials decrease the life of sealers. Q: Does the sun cause asphalt deterioration? A: The sun can increase deterioration as it heats up the cement that binds the asphalt. As it deteriorates, the stone may loosen and fall away. Q: Are there benefits to an underlayment fabric? A: Yes, it does work for waterproofing and is used between the existing surface and the new one. It will also slow cracking from the under surface to the new surface. It will significantly extend the life of your asphalt. Q: When do cracks need to be sealed? A: Cracks should be sealed as soon as possible. Any crack that is wider than 1/4 of an inch will allow penetration of moisture. The goal of regular maintenance is to keep moisture away from invading the asphalt. Q: Will sealing the cracks be effective in extending the life of my asphalt? A: Repairing cracks properly and sealing asphalt regularly can double the life of your asphalt. Talk with your asphalt contractor about the best course of action for maintaining your asphalt and pavement. Q: What is the best way to protect my asphalt and stamping paving? A: Be sure to apply a seal in the first six months to a year. Check for cracks and fill them annually. You will need to re-apply a seal every 3-5 years depending on deterioration due to weather and traffic and how your asphalt is wearing.